The effects of playing Classic Frosted Singing Bowls in the home, office or a large group setting can be more grounding and help promote a stable, peaceful energy. 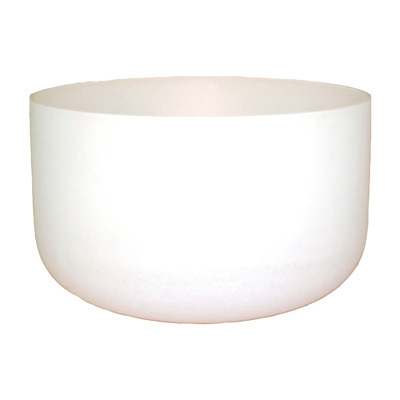 The highly tactile and light-filled Classic Frosted bowls are perfect entertainment tools for large groups, meditation and indoor and outdoor healing and garden spaces. These high quality crystal singing bowls are made from at least 99.992% pure quartz. See above for stock availability. These beautiful and luminescent crystal singing bowls emit an expansive sound that is healing for the body’s deeper tissues. Evocative of ancient temples, our classic frosted bowls exude a healing matrix wherever they’re sounded.